Sorocaba CSS is a group of local developers who get together to discuss and create CSS standards, good practices, news, and everything related to front-end. Their next meetup takes place July 21st, 9AM-12PM at Maloca Centro Criativo. The event will feature a talk from Giulia Cardieri, titled What can I learn by doing games in CSS? The talk will be followed by an open discussion about advanced techniques for organizing CSS (i.e: BEM). 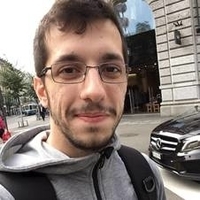 The event will also be an excellent opportunity to meet Toptalers like Felipe Bernardes, Toptal Community Leader for Sorocaba. This is a great opportunity to talk about Toptal work, and to introduce colleagues who may be interested in learning more.